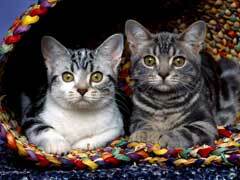 Pregnant Cats With Fleas and Worms - How To Treat Safely? Pregnant Cats With Fleas and Worms – How To Treat Safely? When you are dealing with pregnant cats, you need to do everything you can to protect their health and the health of those unborn kittens. While fleas or worms may not be a huge problem in an otherwise healthy cat, treating these conditions while the cat is pregnant can be risky. Below is some information to help you consider what steps to take. Pregnant cats with fleas need to be treated for the condition. Not only can a flea infestation be annoying for the expecting mother but the feeding can cause her to have health problems, such as anemia. Also, some cats are allergic to the flea’s saliva so they develop severe itchiness and can groom themselves to the point of leaving behind bald patches and even tearing their skin leaving it vulnerable to infection. Newborn kittens are particularly vulnerable to the effects of fleas, particularly in regards to anemia, so pregnant cats should also be treated for their benefit. Instead of using chemical flea treatments, you can use a flea comb to remove them. This fine tooth comb removes the fleas as you brush your cat then you can place the comb in hot water to kill the fleas. While this process does take longer, it is much safer for the mother and her unborn kittens. While pregnant cats with diarrhea may be showing signs of stress or of contractions, they can also be exhibiting a symptom of many types of worms. Many types of worms can get into cats, and they pose a wide-range of risks. Over-the-counter de-worming products are available but only work on some of these worm types. When you have pregnant cats with worms, you need to consult your vet about what steps to take. Some vets say to de-worm the mother because the worms can cause harm to the kittens. Other vets suggest waiting until the birth of the kittens then de-worming all of them at the same time. You’ll need to decide which option is the safest for your pregnant cats.